If you're looking for information on eSports in Canada you've come to the right place. Our website including information on all aspects of competitive PC games and we have sections on all the different eSports games, esports betting, and what you need to know about these cash prize games. 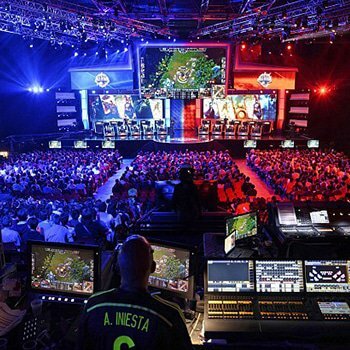 If you enjoy video games and would like to take it a step far eSports is definitely the way to go and explain just why this sport has become so popular. Our site is packed full of information and guides to help you discover more. Esports is a term that has been coined for competitive PC gaming and is a rapidly growing industry. There are professional players and tournaments where competitors win massive cash prizes. With the growth of this industry, eSports betting has also become very popular in Canada and more and more people are betting on their favourite teams. Here on our website, we bring you everything you need to know about the games, the players, the teams, and of course where you can watch the events taking place as well as where to get information on the best eSports betting sites. What eSports Games Are Played? There are a number of games that are played and these multiplayer online titles are available for a number of devices too. The games come in a wide range of formats but there are two main variants and these are first-person shooters and multiplayer online battle arena (MOBAs). MOBA games see two teams battling against each other and the goal is to kill the opponents and destroy their base on the opposite side of the map. Players have unique abilities and strengths and each kill can be used to improve their character. Counter-Strike: Global Offensive: This is a first-person shooter (FPS) game and the goal is to kill the opposing team through attacks. There are two teams, terrorists and counter-terrorists. The terrorists have to either plant a bomb or capture and hold hostages while the counter-terrorists have to stop the bomb from being planted or rescue the hostages. Dota 2: This is one of the biggest MOBA games. It features two teams of five players and the team that manages to destroy their opponents' structure first wins. League of Legends: This is another MOBA game. There are two teams of five players and each player has to choose from one of 130 champions to control during the game. The aim of the game is to destroy the opponents' nexus, objectives can vary depending on the game mode chosen. Overwatch: This is a FPS game where teams fight over a location and the first team to control it for a set amount of time wins. There are two modes, king of the hill or payload mode where teams take turns attacking and defending. StarCraft 2:This is a strategy game where players build armies and try to defeat each other using tactical choices. Other popular eSports games include sports games like the FIFA series, strategy games, fighting games, and even card games like Hearthstone where players challenge each other to battle with monsters and spells and the first person to lose all their health loses. You can read our reviews on all eSports games here. 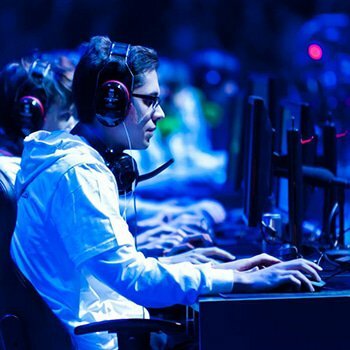 These competitive video games are followed players by millions around the world and it is no longer a case of teenagers sitting in their rooms wasting their time on computer games, many of these teenagers are now enjoying the fame and fortune that comes with eSports games. Competitive eSports is where payers are competitions for both cash prizes and getting themselves recognized. International tournaments and competitions can have huge prizes and many of them offer sponsorship deals for the teams involved too. Many eSports leagues also offer salaries and player rights whereby if a player remains in the competition they get a guaranteed salary. Winning competitors can get even greater rewards. This is a rapidly growing sector and competitive eSports games seem to be getting more and more popular every year. It is now recognized as a sport and even sites like ESPN have coverage of the big tournaments. Some of the professional competitions are even sponsored by some of the biggest companies in the world like Blizzard and Riot Games. The global eSports market was worth $892 million in 2016 and it is expected to exceed $1 billion as it keeps growing in 2018. The lack of dedicated information portals on eSports is disappointed and that is what we are hoping to change. Our site is packed full of information on every aspect of eSports and our mission is to become the best eSports companion in Canada and worldwide.